Stock # 5216, Automatic, 76767 km. 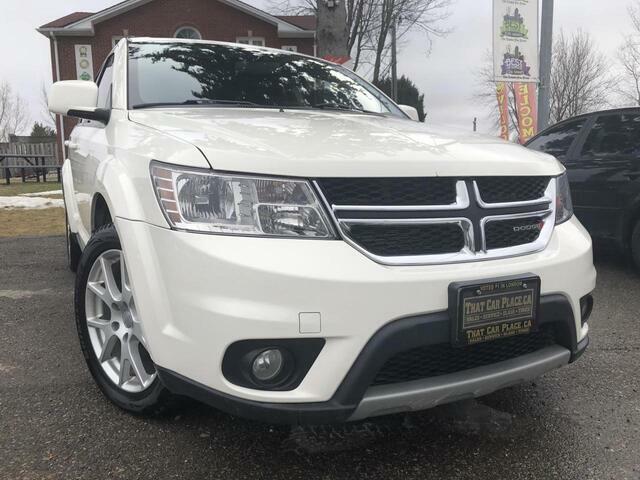 You can't go wrong with this 2014 Dodge Journey! With low KM's, a beautiful interior and plenty options like Backup Camera, Heated steering wheel and more you are bound to have the perfect luxurious ride as well as be in total comfort. High value features also include, Alloy rims , Heated Seats, Bluetooth Connectivity, Sunroof to catch sunshine on beautiful summer days. This crossover SUV comes with 7-Seater capability to fit all your family members and even some friends for a road trip. It really is your perfect all around vehicle with space, comfort and beauty. Call today for finance rates or to book a test drive!